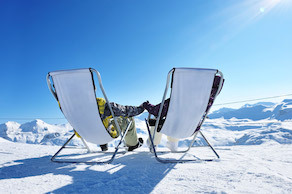 While most travel during the summer and warmer months, most travel in the winter! Whether you are trying to escape to warmer climates or dive headfirst into a fresh mountain of snow, these locales each offer something unique to place on the list of top ten winter vacation destinations. Local Floridians are so used to the northerners that visit in the winter to escape to the warm panhandle that we call them, “snowbirds.” There is a reason everyone flocks to the little slice of paradise that is Key West! 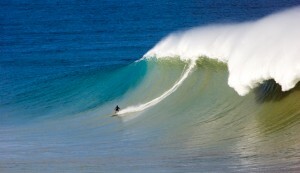 The winter hovers around a balmy 75 degrees, and beaches stay open all year round. Translated to English, Puerto Rico means “Rich Port” which is exactly what this island dream offers its guest: an experience that is simply rich in food, rich in culture, and rich in spirit. Grab a cerveza and come to the beaches of Puerto Rico this winter. St. Lucia is a hidden gem of the Caribbean West Indies. Just 27 miles long and 14 miles wide, St. Lucia packs a powerful punch of the tropics in a tiny island with it’s welcoming locals and famously sunny shores. As another Caribbean island nation, Jamaica is fortunate enough to rarely have weather below the 70’s. Explore rainforests, coral reefs and more this winter while escaping the frigid cold. 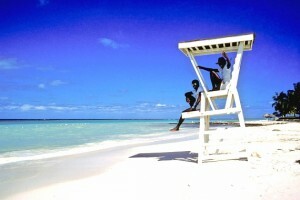 Jamaica has been a regular vacation spot for tourists for years. Take some time to experience the home of reggae and some of the best food in the world. 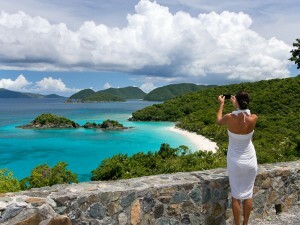 The Virgin Islands is a group of islands, islets, and territories that belong to the United States and Britain. Saint Thomas, Saint Croix, and Saint John are three of the biggest islands of the region and all boast white sand beaches. A winter vacation standard for the rich and famous, Aspen, Colorado offers refined ski resorts and mountain lodge luxury. The mountains of Colorado offer some of the best snow sport in the country. If your family is full of nature buff or skiers, be sure to look into a winter in Aspen. 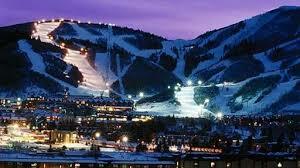 Park City, Utah was host to the 2002 Winter Olympics and is world famous for their ski slopes. Since then, they’ve become a destination hot spot for those who want a true Christmas village experience. The cobblestone-lined mainstreet fills with vendors and lights at night turning the center of town into a winter wonderland perfect for families. On the official tourism website of Breckenridge, Colorado, a tagline reads “We’re happiest in the snow.” For those who revel in winter activities and gathering around warm fires at night with craft beers and loved ones, Breckenridge is the perfect place for you. Recently listed as on of the top holiday destinations in the U.S., Wilmington North Carolina is a coastal town situated on the famous Cape Fear River. 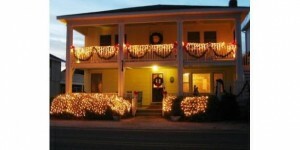 Downtown Wilmington is richly decorated for the holidays, and the historic mansions are open for candlelight tours. 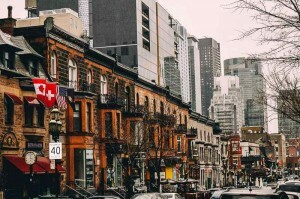 There are a number of holiday-themed special events, from theatrical events to music performances, and a rich assortment of trendy restaurants and chic boutiques for shopping your heart out.